Whatever Happened To Baby Beck? Remember just before his Fox News program was cancelled a few months ago and Glenn Beck said to his critics, “You will pray for the time when I was only on the air for one hour every day.”? Wow, our prayers must have been more than answered. 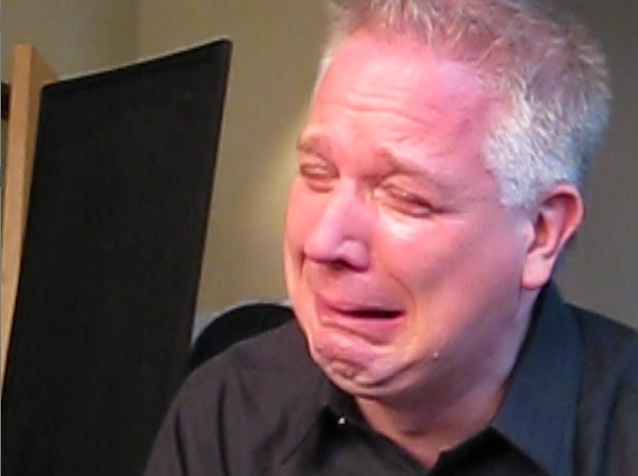 Glenn Beck has now become completely irrelevant. Think about this for just a moment. When was the last time that you saw Glenn Beck on your television or even heard someone comment about him or something he said? 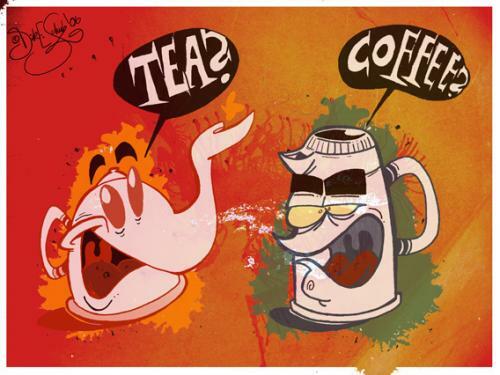 I’ll go make a sandwich and brew a cup of tea while you think it over… Come up with an answer? No. I’ll go walk the dog and give you a little more time…. Anything? I didn’t think so. Glenn Beck has now become more insubstantial than was Claude Rains while portraying “The Invisible Man” in that wonderful 1933 Universal film. He is presumably in Israel presently and referring to the tent protesters (who are upset with economic conditions) as socialists or communists. I understand that he also may have recently said that there will be race riots in America if President Obama is re-elected. I had to dig pretty deep into George Bush’s internets to find that out, however. 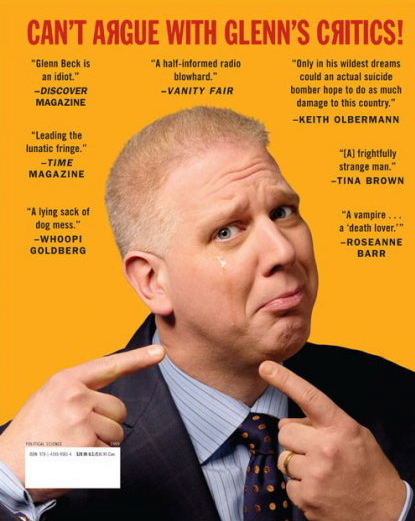 The newspapers and television stations seem to have lost all interest in Beck and his faux tear-filled tirades. His 15 minutes of fame have obviously expired. I for one, am glad about that. Ah, Glenn we hardly knew ye! Yes, that is the proverbial “Fat Lady” who you can hear singing. The show is now officially over. 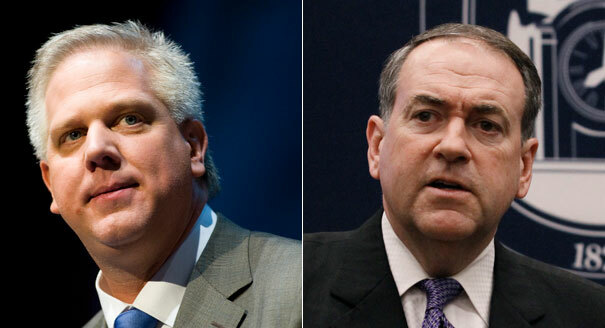 That’s right, we are finally rid of the hate-speak and misinformation-spewing Glenn Beck. Even the Republican propaganda arm known as Fox News finally realized that steadily declining ratings and the continued loss of millions of dollars in free market advertising dictated a divorce between the network and the crazy-man. In the end, even Fox News president Roger Ailes had his limits when it comes to a lost cause. The break-up came after months of infighting between Beck and the network. The straw that broke the camel’s back however, was the fact that virtually all of the program’s sponsors fled along with their advertising revenue and Beck’s ratings have plummeted by approximately 40%. What show could withstand that type of double-whammy? During its run, Beck’s show focused primarily on criticizing President Barack Obama. It is interesting to note that the program debuted on Fox News the day before President Obama took office It is also ironic to note that Obama will retain his position at the very least through 2012 while Beck will be long gone from Fox. That alone shows that Beck’s program was a massive “Mission Unaccomplished”. In fact, Glenn Beck’s steady fall from grace began in 2009 when he proclaimed that President Barack Obama has a “deep-seated hatred for white people”. That remark caused such a public backlash that over 300 advertisers pulled their commercials from his program. Fox executives should have realized that Beck spelled trouble from the very beginning. He has no formal education or work experience in the world of politics. 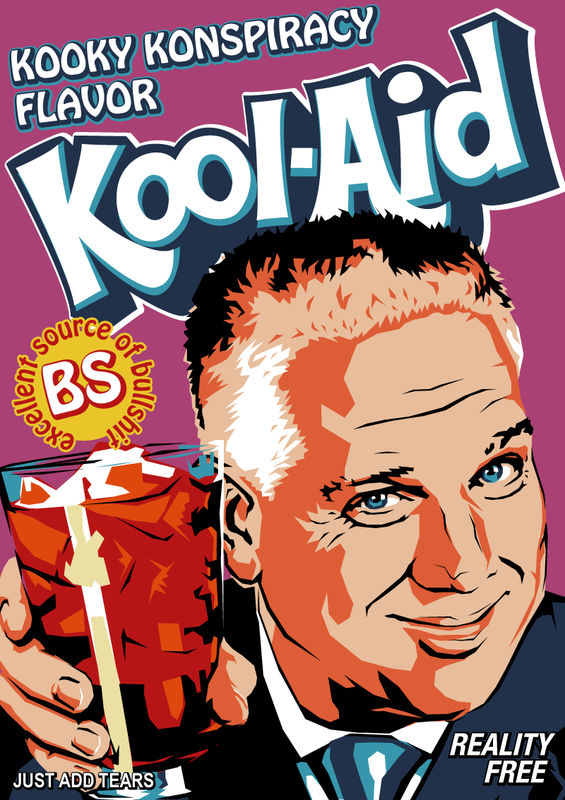 Glenn Beck’s college career consisted of ONE COURSE, not one semester mind you, but one course. His radio background consisted of merely a bunch of shock-jock jobs with a number of different stations. Add to that his history of alcohol and drug abuse, and you have a recipe for some kind of on-air nervous breakdown. That is exactly what we and Beck’s bosses seem to have been witnessing. That my friends is a caseload of canned-crazy. But now it is time to celebrate. This weekend we should celebrate not only the holiday which commemorates our great nation’s independence, but also the final departure of one of our great nation’s craziest wackos from the free public airwaves. Lynnrockets wishes all of you and your’s a happy, healthy 4th of July Weekend!!! The print media has been abuzz today about Glenn Beck. You remember Glenn Beck don’t you? He is the self described “rodeo clown” who, when hired by Fox News some two years ago, promised to bring an end to Barack Obama’s presidency. Something funny happened on the way to the impeachment however. You see, It was Glenn Beck who found himself unemployed when Fox News failed to renew his contract while Barack Obama continues to occupy the Oval Office. Who knew that Glenn Beck’s home is Bryant Park? Who knew that Beck’s family could be stalked by movie goers when it was he and his family that voluntarily appeared at the movie venue and set amongst the crowd? You learn something everyday from Glenn Beck. Really? What is this crackpot talking about? 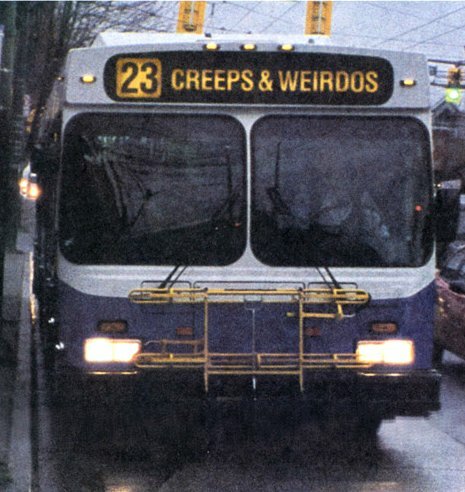 Twenty-five year olds are “helping craft a system that is fueled by hate”? Isn’t it in fact Glenn Beck that is constantly saying he wants to kill people with shovels and isn’t it Beck that said Barack Obama “has a deep seated hared of white people”? Isn’t Beck the guy that is constantly comparing people to Hitler and the Nazis? He should look in a mirror to get a glimpse of who is really fueled by hate. Is it any wonder that Fox News no longer wants anything to do with him? I’m sure it’s unnecessary to point out the hypocrisy in Glen’s statements that we were being hateful. I can assure him that we don’t need his sympathy. Incidentally, none of us have made a career of “spewing hate” on the radio, or any other media platform. We live our lives intolerant only of those who don’t tolerate: We have chosen New York as our city for that very reason. We do things like go to Bryant Park Movie Night, and vote to legalize gay marriage. We don’t taunt Glen, or his family. And we certainly don’t waste our wine, even on Tanya. Well played Ms. Piscitell. Very well played. Oh, Beck what can you do? Beck what can you do? ‘Cuz your last show will be broadcasting tonight. BREAKING NEWS: Representative Paul Ryan, the House Budget Committee chairman who has become a star in the Republican Party with his plan to destroy Medicare, is emerging as an unpopular figure among Americans. By a margin of 57 percent to 34 percent, recent Bloomberg poll respondents say they would be worse off if Ryan’s plan to convert Medicare to a system of subsidized private health coverage were adopted.Fifty-eight percent of independents, a critical voting bloc in recent elections, say they would be worse off. That’s likely to encourage Democrats to bank their success in next year’s presidential and congressional races on tying Republicans to the Medicare plan, which was passed by the Republican-controlled House on April 15. THIS JUST IN: The Republican controlled House has approved a bill removing a barrier to companies seeking to drill for oil in some areas offshore. The White House opposes the measure, saying it deprives citizens of a way to challenge permits and would also increase air pollution. Is it a surprise to anyone that the party that hates mother earth is up to its old tricks once again? BREAKING NEWS: The folks over at Buzzflash were spot-on when they concluded that it appeared that Minnesota’s moonbat-crazy Republican Rep. Michele Bachmann did well in last week’s GOP debate simply as the result of “not spewing vomit as her head twisted around”! Doesn’t everyone love a good “Exorcist” reference? THIS JUST IN: Just wondering, but if the Republicans know so much about creating jobs, then why was there negative job growth from 2000 through 2007 when they were in control of the government and it was a period of relative economic prosperity? BREAKING NEWS: This week’s episode of “Leave It To The Courts To Redress Faulty GOP Policy” features Republican Indiana Governor Mitch Daniels and his law which eliminated funding to Planned Parenthood. U.S. District Court Judge Sarah Evans on Friday granted a preliminary injunction preventing Indiana from enforcing the law that eliminated funding to the organization because it performs abortions. THIS JUST IN: This week’s episode of “Dazed And Confused” features the Republican members of the House. The majority party attempted to disgrace the President by rebuking his actions in Libya and cutting the funds for the military action. Problem is, the GOP does not know what it wants. In a very confusing action, the House voted to rebuke the President for the action, but also voted to continue funding the action. It is obvious that Speaker John Boehner has no control over his minions. This was an embarrassing defeat for the Republicans. BREAKING NEWS: The next time that some Republican tells you Texas is the best job creation state in the Union and that GOP gov. Rick Perry deserves the credit, remind them of this. ThinkProgress reveals that the theory that Perry has a stellar record on job creation is simply not true. As the Austin American-Statesman noted, “while the national unemployment rate is 9.1 percent and the Texas unemployment rate is 8 percent, some 23 states, including New York, have lower unemployment rates.” In addition, “jobs grew at about the same rate during Democrat Ann Richards’ four years as governor” as they have under Perry. Moreover, as it turns out, Texas is in fact leading the nation in one employment metric — the number and percentage of minimum wage jobs. Additionally, Texas has by far the largest number of employees working at or below the federal minimum wage. BREAKING NEWS: Inasmuch as infamous Boston Irish Mob Boss and the nation’s “Most Wanted” villain, Whitey Bulger was captured last week, we were wondering what Martin Scorsese’s sequel to the film “The Departed” will be entitled. Perhaps “The Recently Apprehended” or “The Returned”? Any other suggestions? THIS JUST IN: Fox News Comment of the week. Headline: “Suspect in Custody for ‘Suspicious” backpack is Marine Corps Reservist.” Comment: “All of you liberals, illegal immigrants, and muslims need to be rounded-up and put into camps that are surrounded by razor-wire!! !” How is that for conservative intellectualism? BREAKING NEWS: This week’s episode of “How Soon They Are Forgotten” features former Fox News host and self-described “rodeo clown” Glenn Beck. Honestly think about this for a moment. When was the last time you heard anything about the now near-invisible Beck? Well, TPM reports that Glenn Beck said Thursday that he will be visiting the former Nazi death camp Auschwitz in a visit to Poland, and he’ll broadcast a special from a town outside of the camp because this will help him “figure out,” he says, “how did this happen?” Beck went on to say, “Poland, I didn’t know this when I first started doing my research. Poland rose up, a lot of Poles rose up, to try to help the Jews but they had nothing left. They had no arms.” Apparently Beck’s research failed to reveal that Poland “did not exactly have a reputation for passionate philo-Semitism. Towards the end of the war, anti-Jewish riots even broke out in several Polish cities as Jews were returning to their homes.” It is nice to know that some things never change. Glenn Beck continues to misinform. 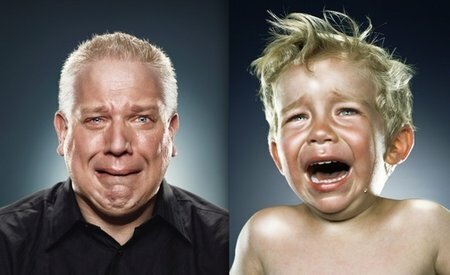 Glenn Beck is reduced to tears...again! As we have said so many, many times in the past, “Is there anything more entertaining than watching conservatives/Republicans fight amongst themselves?” This week we were treated to a real dandy of a tag-team war of words. The pugilists were Glenn Beck, Meghan McCain, Cindy McCain and Bill O’Reilly. The brouhaha began when Failed GOP presidential nominee John McCain’s daughter Meghan appeared with other scantily clad celebrities in a public service announcement which promoted the use of sunblock to prevent skin cancer. The ad appeared to be a well intentioned method to draw attention to the correlation between the sun’s rays and skin cancer. The ever-immature and uneducated Glenn Beck did not see it that way however. Rather than commenting upon the message of the ad, the soon-to-be former Fox News host chose to mimic a 10 year old. While discussing the ad and Meghan McCain’s physical appearance on his radio program, he repeatedly pretended to vomit at the sight of the young McCain. he even suggested that she cover herself with a burka “to be extra safe”. Senator John McCain then told CNN he wouldn’t “dignify” Beck’s behavior with a comment. 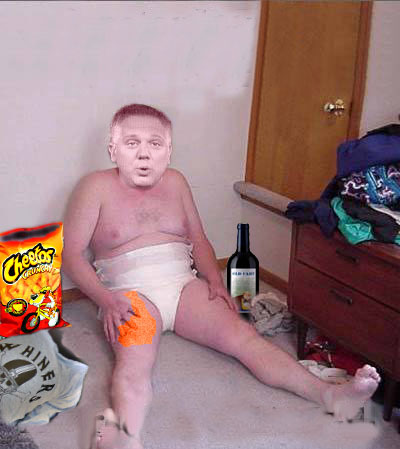 7…8…9…10… Glenn Beck is down and out for the count! Today Is The Second Birthday Of Lynnrockets’ Blast-Off !!! What began as a fun little pastime has blossomed into two year’s worth of blogging. In December of 2008 yours truly was recovering from knee surgery and as a means to fight the boredom of the passive-motion machine, I started perusing the comment sections of various blogs that I happened upon. Soon thereafter, I too began leaving comments of a political nature. Then, to have some fun, I began to post a few political song parodies based upon 1960′s and 1970′s television theme songs. Eventually I began to spend most of my time on a blog known as The Mudflats because I enjoyed the numerous posts about Sarah Palin. By the early Spring my comments were solely of the musical kind. To be honest however, my frequent postings seemed to annoy a number of The Mudflats‘ readers who desired more prose than poems. At that point the Mudflats‘ administrator suggested that I start a blog of my own (probably to get rid of me). The idea sounded great but impossible for this computer-challenged scribe. I did not even know what the word blog meant (by the way, I still don’t). Thankfully, the friendly neighborhood Mudflats administrator held my hand and walked me through the process of creating what you are reading today. I remain forever thankful. Lynnrockets’ Blast-Off debuted on May 13, 2009. Nobody noticed. Little by little however, the readership increased and the growing traffic encouraged me to carry on. The task was made easier by Sarah Palin’s ever escalating shenanigans. Palin and her crazy family were simply spoon-feeding material to comment upon. In fact, she provided so much material that I ran out of television theme songs. Consequently, I was forced to venture into the world of popular music for the song parodies. Although the pop music world seemed to unveil a limitless number of songs it also made the task of parody more difficult. You see, pop songs are a lot longer and have way more lyrics than television theme songs. Fortunately, we were then blessed with the emergence of the moonbat-crazy Tea Baggers, Michele Bachmann and Glenn Beck’s descent into insanity and the non-masturbatory life of Christine O’Donnell. Somehow we persevered and here we are today celebrating our second birthday. I thank each and every one of you for stopping by over the last 24 months. I would especially like to thank those that leave a comment now and again. Those comments provide a sense of worthiness as well as inspiration and new material for later posts. Once again, I thank all of you.